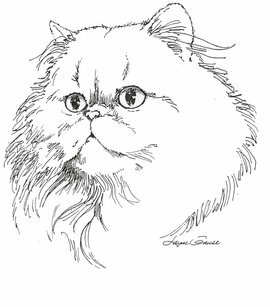 Cleveland Persian Society is an all breed cat club which was incorporated in 1918. Cleveland Persian Society is CFA's second oldest show producing club and has produced shows since it's incorporation. We are a non-profit member club of The cat Fanciers' Association. We host two CFA Allbreed cat shows in Parma, Ohio. Our shows are held in the second weekend in October and third weekend in January. Our "sister club" is Champagne Cat Club. For more information, please take a look around our site.